There will be no fresh bread on Thursday this week — fresh McGrath’s bread arrives 9am on Friday. A variety of frozen loaves from both Talking Breads and McGrath’s are available. Still on sale: eggs, butter, and I <3 Kim Chi! Also, if we get our act together, maybe some unidentified frozen loaves of bread whose stickers have fallen off. When I logged in to write today’s post, there was a comment waiting to be approved. “Your posts used to be so great,” it said, “But lately they’ve been lacking.” Wow! I thought. I can’t believe someone actually said that “out loud”. And then I realized it was spam. And yet, maybe also true — at least the part about lacking recently. I’m afraid, though, that today’s post will also be lacking. So, I’m posting a picture of baby goats to make up for it. 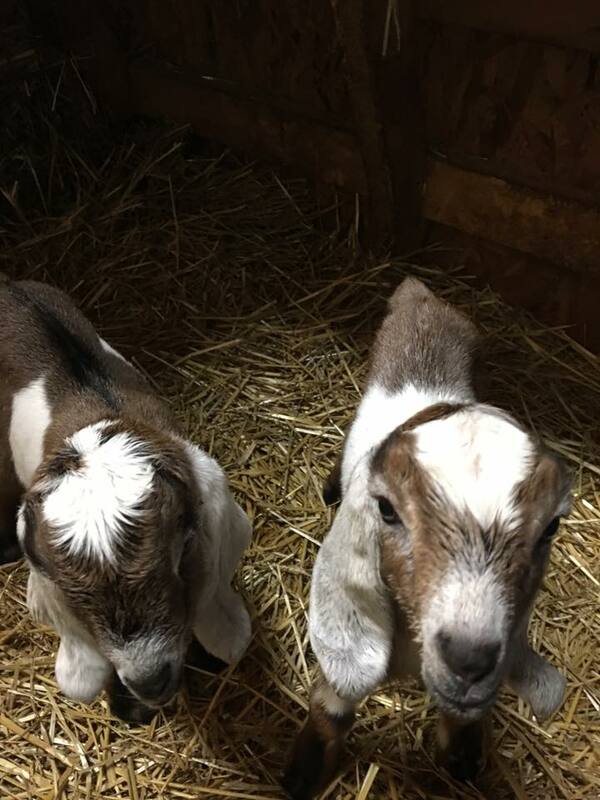 These are the babies of the goats whose milk usually becomes Camelot Valley chevre (the fresh goat cheese in little tubs), and these babies are the reason we haven’t had any chevre for a few weeks (and likely won’t for a couple more). In the meantime, thanks to a lightening of the winter pickup/delivery schedule, Dusty and I are headed to the Garlic Poet for a little date night.